Whether you’re choosing a movie to watch on Netflix, searching for a hotel to stay in on your next business trip, or scoping out a new restaurant for dinner in town, you’re probably interested in its ratings. When your free time is limited, you don’t want to waste it on a one- or two-star movie. Nor do you want to settle for a three-star hotel when there’s a four-star option in your budget, or take your hard-to-impress visiting in-laws to less than a five-star dining establishment. Job seekers care about ratings as well. And according to a survey on corporate hiring practices conducted by Talent Board, a recruiting industry nonprofit, 51 percent of 130,000 professionals who responded give the overall application process they’ve experienced at North American companies three stars or less. That leaves a lot of room for improvement. If you’re ready to get started, consider these four actions you can take to enhance your pharmaceutical, biotechnology or medical device manufacturing company’s interactions with job seekers. 1. Give job seekers more information. 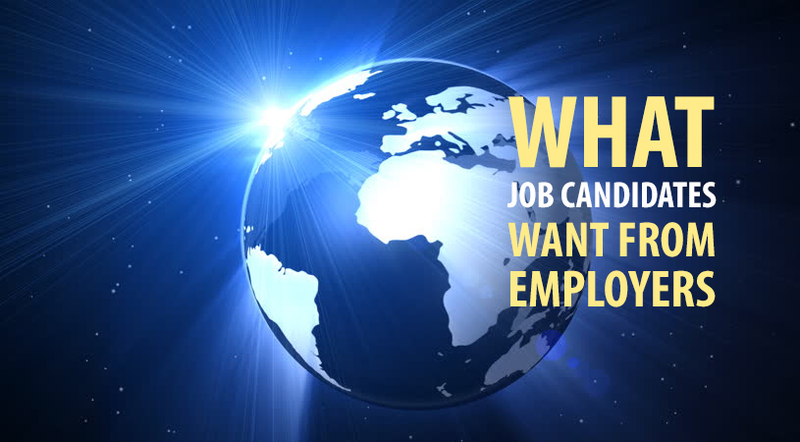 While it’s important for job seekers to understand the skills and experience they need to qualify for the position—and 74 percent want to know all they can about the job—candidates also want you to paint a clear picture of your company’s culture and employee experience. Information about company values was ranked as highly valuable by 42 percent of survey respondents. Thirty-seven percent want to know more about the products and services you provide. Employee testimonials (35 percent) are also essential and should be included with your job postings on job boards or your company career site. 2. Simplify the application process. Forty-three percent of survey respondents said they had spent 30 or more minutes filling out an online job application. Even worse, 12 percent reported spending 60 minutes or more. This is unfortunate, as candidates want a simple, easy application process. How can you give it to them? Ask fewer, more relevant questions. You can also clearly indicate the job seeker’s progress through the application and allow them to save partially completed applications for later. All job seekers dread the resume “black hole.” While 85 percent of companies send an immediate—if automated—“thank you” when they receive an application or resume, nearly 50 percent of the candidates surveyed indicated they never receive any further communication. Follow-up is generally lacking even after interviews. Only 34 percent of the survey respondents said the hiring manager took the time to explain what would happen next and followed up as indicated. Twenty-three percent didn’t receive any additional information or follow-up. To improve your candidate experience, provide channels for applicants to ask questions easily. Clearly outline the application, screening and interview process on your career site. Always acknowledge receipt of resumes and periodically update candidates who are still in the running, even if you automate your messages. Ask your hiring managers to outline next steps at each interview, and—at whatever point necessary—send politely-worded rejection notices to applicants who don’t make the cut. According to survey, only 16 percent of companies ask new employees about their experience with the application and hiring process. The rest are missing out on a valuable source of feedback and the simplest way to identify additional opportunities for improvement. Consider asking new hires to complete a feedback form as soon as they’ve accepted the job offer and while their experience is still fresh. Check out the latest Inside Recruiter eNewsletter - April 18, 2016. Sign up for the free Inside Recruiter eNewsletter.